The brass drift punches in this 2 piece set are Ideal for use in non-marring applications. All Gray punches and chisels are made from the highest quality materials for maximum tool life. Made in Canada and backed by Gray Tools worry-free lifetime warranty. Contains Brass Drift Punches: 1/2" & 3/4". Knurled body provides superior grip and hold. Ideal for use in non-marring applications. A top quality carbon steel brick bolster manufactured as a one piece drop forging and incorporating a domed anti - mushroom head to prevent spreading of the striking head. A bevel edged chisel set designed to satisfy the needs of DIY and professional users. The dual composite polypropylene handle provides control and comfort. 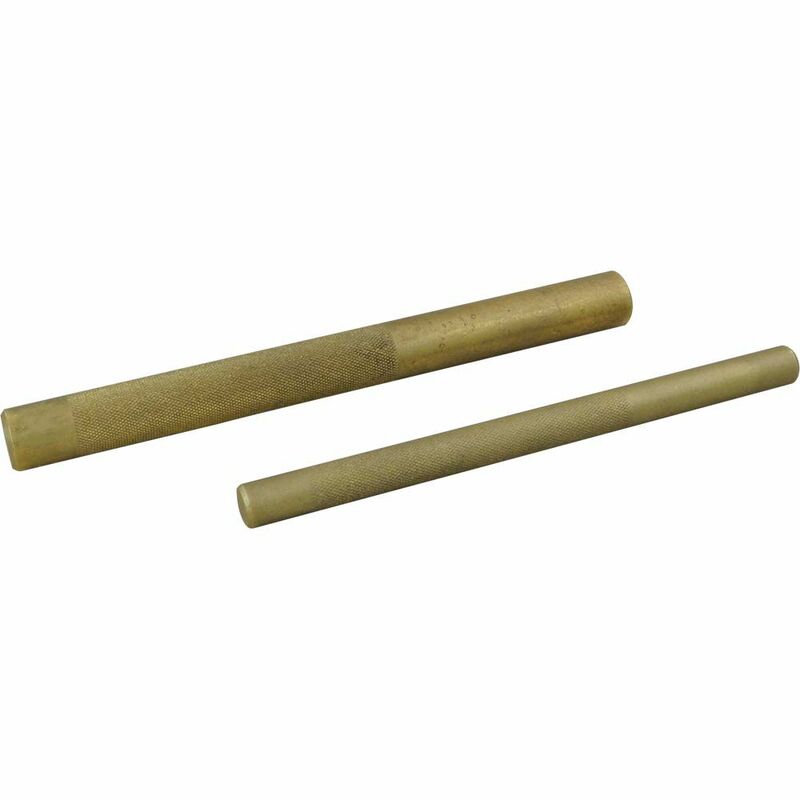 2 Piece Brass Drift Punch Set The brass drift punches in this 2 piece set are Ideal for use in non-marring applications. All Gray punches and chisels are made from the highest quality materials for maximum tool life. Made in Canada and backed by Gray Tools worry-free lifetime warranty.